We got a little surprise at the Midtown Farmers Market yesterday. Only the second week in May, but Peter and Carmen had a few small bundles of asparagus. We almost missed them — it pays to make a couple of passes through the market. The first asparagus of the year is always a cause for celebration. 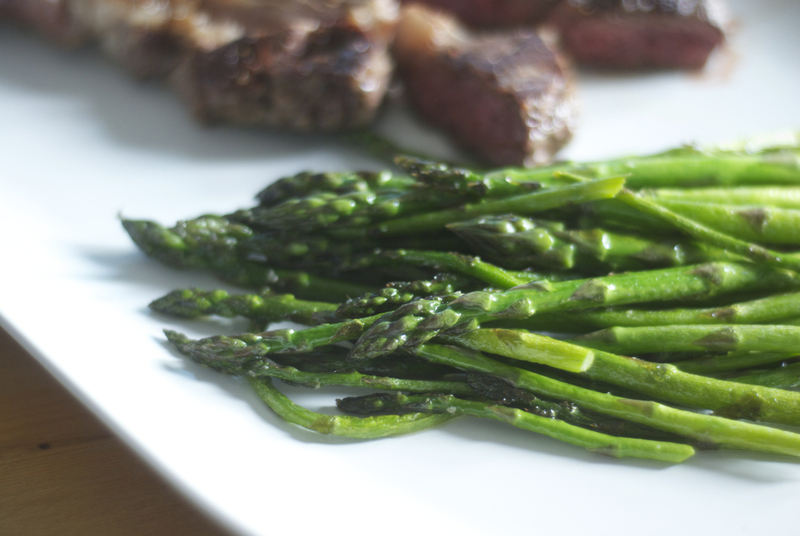 And simple treatment: I sautéed these spears briefly in olive oil and sprinkled them with sea salt. Nothing else needed. This entry was posted by Tom on Sunday, May 11th, 2014 at 9:06 am and is filed under Farmers Market, Food + Drink. You can subscribe to responses to this entry via RSS.